Have You Missed One Of Our Tips? Check Out The Archive Below! Every month, our goal is to provide our valued clients with a tip to help understand their insurance coverage’s, as well as be on the lookout for costly mistakes, money saving opportunities, and reasons to update their insurance policies. If you would like to receive our monthly email tips, please don’t hesitate to reach and we will add you to the distribution list! Also, please don’t hesitate to provide feedback through our contact us page on any topics that you would like to see us cover! February – Many of the homes built in our area were constructed 30 or more years ago. Since that time, construction standards have evolved and, as a result, many omes aren’t in compliance with the new building codes. This mean that, in the event of a disaster, many older homes will not only need to be rebuilt, but brought up to code as well. Homeowners policies (and other building related policies) offer coverage for increased costs of construction or improvements due to changes in “Ordinance of Law’s”. It’s important that there is coverage for these increased expenses, especially in older homes. March – Here are 8 tips to help you protect your home from the most common causes of water damage:1. Know where the main water supply is in case of emergency. What if my child already left the nest? When your young adult is out in the work force and has “left the nest”, it is time to get your name off the title of their car, get them on their own auto insurance and have them buy a renter’s insurance policy. Not only does this transfer the risk off your shoulders (should they get into a car accident) but it allows your young adult to gain independence, learn to be more financially independent, and can even help them establish better credit. Of course, every situation is different. Whatever the case may be, you want your young adult to have good liability limits of insurance. Talk to us to decide if it’s time for you and your young adult to take the plunge! Is the person a licensed driver in good standing with his or her own auto insurance policy? Is the driver a newly licensed individual in your household? Do any new drivers in your home need to be added to your policy before getting behind the wheel? Before you offer to help a friend in need, give our agency a call. We can review your auto policy to make sure you have a full understanding of your coverages. When is it time for a young adult to get their own car insurance? This can be a tricky question and the answer, unfortunately, is: it depends. Check out out the following link for things to know about kids being on their parents auto policy. April As more and more homes are being contacted by solar energy firms offering ways to cut utilities expenses, one has to wonder: How will this affect my homeowners insurance?There are two ways by which solar companies contract with homeowners; one is to sell the solar panels outright; and the second is to lease them. There are insurance implications of both.In the first scenario, if you buy the panels outright and permanently install them on your home, they become part of the dwelling. Since they become part of the dwelling, you would have to increase your “Coverage A” (dwelling coverage) to reflect the additional value of your home due to the panels. If the panels are installed permanently on your land—but not on your home—you would have to increase your coverage under “Coverage B” (other structure) to reflect the cost of the panels to ensure they are covered.In the second scenario, you contract with the solar company to lease the solar panels, and therefore you do not own them. Since the solar company owns the panels, it is typically their obligation to insure them, and you do not have to increase your insurance to accommodate the value of the panels. There are instances, however, in which they put that obligation back on the homeowners in the lease agreement. It is extremely important to have a full understanding of those lease requirements.It’s important to contact our office whenever you plan to add to or improve your property. Many insurance companies are leery of solar panels because of their vulnerability to damage by storms and the potential for electrocution when firemen get them wet putting out a fire. You will want to know the insurance implications of adding solar panels before the work contract is signed. We are here to help make sure you are covered adequately. June – Do you own a timeshare? Does someone you know own one? If so, it is extremely important to ensure that you are properly insured.With a timeshare, the real question is; is the property deeded or un-deeded?If you have an un-deeded timeshare you do not actually own anything, so simply contacting us to add the address as an insured location may be enough to protect your belongings while you are vacationing.If the timeshare is deeded, on the other hand, you have partial ownership which creates exposures for you. Depending upon the company that your primary New York homeowners insurance is written with, deeded timeshare owners may need a separate policy. Some carriers, however, will allow you to add an endorsement to provide coverage for the timeshare location. Pay your bills on time – timeliness in paying your bills improves your score. Manage your outstanding balances – As a rule of thumb, maintain account balances at least 75% below your available credit. Avoid excessive inquiries to your credit reports – Too many inquiries may negatively impact your score. Review your credit report regularly – Know what is on your credit report and take necessary steps to dispute any inaccuracies. Limit the number of credit accounts – Your access to excessive unused credit could adversely affect your score. Avoid quick credit fixes – Good credit is built over time. Manage your debt consolidation – Consider how to effectively pay down your debt. 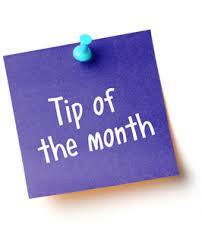 Establish credit if you do not have a long track record – A longer credit history has a positive impact on your score. Do you have a friend or family member who owns an electric wheelchair or mobility scooter? These valuable and life changing vehicles provide tremendous value to those who need them, but it is also extremely important that they are property covered.Luckily, these items are possessions that are covered by standard homeowners or renters insurance, and exempt from the motor-vehicle exclusion that requires a separate policy like a car or truck. Therefore, homeowners or renters insurance would reimburse you for damage or theft to these items up to your policy limits and subject to your deductible.However, if you have, or anticipate needing such a vehicle, it is worth exploring a policy add-on called a rider to cover it property. This will ensure that the full value of the chair or scooter is covered and we may be able to save you the cost of the deductible in the event of a claim.There are also liability concerns that emerge when operating a wheelchair or scooter. This would also be a great reason to consider adding an umbrella policy to your insurance package to provide you with great limits of liability insurance should you cause any bodily injury or property damage with your wheelchair or scooter. Are you concerned about damage to your home from earth shifting or collapse? It is extremely important to be aware that homeowners insurance policies exclude damage that is caused by the earth.There have been a couple of documented cases here locally where a basement wall collapsed due to hydro-static pressure from built up ground water. In both cases, the water build up happened over time and the basement walls eventually buckled under the pressure.There are two solutions to covering this type of damage. Earth movement can be covered with a stand-alone earthquake policy and ground water can be covered by a flood insurance policy. An umbrella insurance policy is extra liability protection on top of your normal car and home/renters insurance policies. It is easy to assume that only someone with a lot of money would need that much insurance coverage, but you’d be surprised at how important and inexpensive that policy can be for most people. For two cars and one home, the rates can be around $150-$200 dollars for an extra coverage that can save your financial future. Check out the following link here for some cases where an umbrella saved the day. Here are four spring cleaning tips for your personal insurance. Tune up your Auto policy: Everyone makes sure auto insurance “fits” when they first purchase their policy, but now is a good time to make sure your coverage is appropriate for your present circumstances. Do you have enough personal injury protection or medical payments coverage? Are you adequately insured for the financial consequences due to injury by an uninsured or under-insured motorist? Do you have a new driver in the family? Give your homeowners coverage a good polish. Do you have enough insurance to replace your home if the unthinkable happened? It’s also a good time to update your home inventory (you have a home inventory, right?). Do you have really valuable stuff, like antiques, jewelry or collectibles? Do you need coverage for your toys—a boat, ATV, or other recreational vehicles? Do you have domestic employees or are you running a side business out of your home? Dust off your life and health insurance. Are your life insurance beneficiaries updated? Do you need disability income coverage to keep your family intact should you lose the ability to bring home the bacon? Changes happen in life. Our agency is here to make sure you’re covered appropriately, but you need to keep us informed. Put us on your spring cleaning list. Should you purchase the rental car companies insurance?Recently, we discussed the pro’s and con’s of purchasing the auto insurance offered by a rental car company when you rent a vehicle. As we mentioned, your personal auto insurance policy will mostly extend coverage to the rental vehicle, but there is one important piece of information that we wanted to pass along.When renting a car, you MUST pay for and list anyone who will be driving the vehicle on the contract. There will be no coverage either on your personal insurance, or on the insurance from the rental car company, for an unlisted driver.This is a very common situation as families or groups of friends travel together (often sharing a rental vehicle) and we want to make sure that you don’t get stuck in an uninsured situation! Make sure that your gutters are cleaned out from any leaves and debris; failure to do so could lead to water backup and damage your siding and roof.Inside/Outside? Do you know where your Water Shutoff Valves are located? In case of a leak, you should know how to quickly turn off the water to prevent damage. Make sure that your appliance water hoses are in good order and replace when needed. If leaving town for an extended time, you should consider turning off your water supply or asking a neighbor/family member to periodically check on your home. You, or someone you know, may be heading off to college this month.We receive many calls each year regarding questions about how children’s belongings are covered while they are away at college. This is a great questions and the answer can vary from carrier to carrier. The short answer is that your homeowners insurance policy will extend limited coverage to your children’s property while they are away at school as long as your home is their primary residence and he or she is still your dependent. Keep in mind, however, that your deductible will apply to any claim. For this reason, it may be wise to consider a rider for high value items like a computer as the deductible for the rider may be less than your home deductible and could cost as little as $10. Do you know when you should be reporting a claim?Our office receives calls daily with clients asking if they should report a claim. The most common questions revolve around whether or not a claim will increase your insurance premium. The answers that we provide are different on a case to case basis as there are many variables including the type of claim, severity of the claim, and previous loss history. The best advice that we can give, on a broad stroke basis, is that you should have a clear understanding of your deductible, and determine your own “pain threshold” as far as the dollar amount that you are comfortable spending to repair or replace your property. If your deductible is much lower than your pain threshold, then we should consider increasing your deductibles to better reflect your situation. When you are in doubt, however, you should err on the side of submitting the claim. In claims scenarios, you have a limited amount of time to notify the company and failure to do so in a timely manner may cause the insurance company to deny your claim because they didn’t have the opportunity to control the claim from the onset. Did you know that, according to a new census bureau report, roughly 9.5% of the workforce is working from home?If you (or someone you know) are one of the estimated 43,000,000 Americans who are working from home, then you will want to make sure that you have the correct insurance in place. Not only will you want to insure the tools or equipment that you use for work, you will want to have liability insurance as well. Homeowners insurance and renters insurance have very little (if any) coverage built in for stolen or damaged home business equipment, and they typically exclude any detached structure (detached garage, barn) that is used in whole, or in part, for work purposes. Also, you may not have protection if someone is injured while visiting you at your home for a meeting, delivering a package, or files a lawsuit against you for work that you did for them out of your home. Some carriers will add an endorsement to your current policy. This depends on the carrier and the nature of your business. You can obtain a stand-alone business insurance policy. Did you know: A lapse in insurance coverage can raise your premiums as much as %40. Solution: If you are on a payment plan, always place your payment on EFT or recurring credit card. You may qualify for a discount and will avoid monthly billing fees. If you are able to do so, you may also consider paying the premium in full. This will also likely qualify you for a discount and eliminate the hassle of monthly payments. Reminder: If using a debit or credit card, when you receive a new card, please call us so we can update your information. As we make our way through a spring season filled with melting snow, heavy rains, and changing weather; it is important to fully understand just what constitutes a flood. A Flood is a general and temporary condition where two or more acres of normally dry land or two or more properties are inundated by water or mud flow. This guideline is followed by FEMA, who runs the National Flood Insurance Program. Why should this be important to you? Because standard Homeowners Insurance doesn’t cover flooding and 25% of flood claims happen in low-risk flood zones. If you are one of the 98% of homeowners who do not have a flood insurance policy and you are concerned with flood risks and the damage that they may cause to your home or personal property, please don’t hesitate to reach out and we will put together a proposal for you. Did you know that most homeowners insurance policies are able to provide Identity Theft coverage? I’m sure that you are aware of the recent identity theft issues at Target and you may also have been affected by the RG&E identity theft issue a couple of years ago. With these types of issues on the rise (I just saw a report stating that theft of ATM cards and Personal Identification Numbers (PINs) tripled between 2012 and 2013), it has never been more important to have control over your personal information. While ID Theft coverage can’t stop a thief from stealing your information, it will greatly cut down on the time and effort that you would have to put in to restore your identity. It is extremely important to act quickly as soon as you discover that your identity has been compromised. Let your homeowners or renters insurance coverage take care of that for you! Did you know that you can save up to 10% on your Rochester Auto Insurance and reduce up to 4 points from your driving record by taking an online defensive driving course? We, at the Gerard P Smith Insurance Agency, encourage you to take a New York Defensive Driving course to brush up on safe driving techniques and to save money on your auto insurance! There are many options for your online course but here are links to two popular courses. you have 30 days to complete the course and can start & stop as you please – the ultimate convenience! I wanted to share a tip with you about protecting your home when lightning strikes or from unforeseen electrical surges. The damage caused can be minimal to devastating–I’ve seen it all. When lightning strikes your home or nearby, a power surge can pass through your cable TV, phone, satellite TV or through the home’s electrical service line. That being said, ask your electrician about installing a ‘whole home service entry protector.’ It’s a little gadget that’s easily installed (by an electrician!) to your point of entry electric panel in under an hour. This will do the best you can from surges from lightning, transformer overloads and even expand the longevity of your electronics. If you do install this device, please let us know. Did you know… Life insurance may be one of the most effective ways you can protect your loved ones — and an efficient way to save. Yet, remarkably, the number of Americans without adequate protection is actually growing. According to LIFE, the non-profit foundation that organizes promotes life insurance, 30 percent of US households have no life insurance whatsoever, and many of the remainder have inadequate coverage. When was the last time you did the math to make sure your loved ones would be OK financially? Have you checked with your employer to find out what kind of life insurance benefit you have through work and whether you have the option to increase your coverage? When was the last time you had your life insurance needs reviewed by your insurance professional? No one likes to think about dying. But if your loved ones will suffer financially when you die, it’s a subject you have to address. You need to consider how your family would fare financially if, suddenly, you weren’t there to provide for them. Where would the money come from to pay for your funeral, the monthly bills, the mortgage, the kids’ education costs? These are the questions the life insurance industry wants all Americans to ask themselves. Please don’t ever hesitate to reach out with any questions concerning life insurance for you or your family! Did you know that homeowner’s policies do not cover earthquake or flood? In the past 10 years, the state of Colorado has had a flood described as a “once in five hundred year flood”….three times! These floods have been attributed to a number of factors causes including heavy rains and poor drainage. These scenarios can happen anywhere, anytime, yet the vast majority of homeowners do not carry flood insurance. Call us today to discuss how we can help protect your home from a flood loss! Bonus Tip: Did you know that a “texting while driving” ticket is now 5 points on your license and a $150.00 fine? You can take a defensive driving course and get a 10% reduction on your insurance with a 4 point reduction on your license. Visit our website at the following link for information about online defensive driving courses.